His name is Cole, Steve Cole, and since 2013 he is the author of the literary series Young Bond ! Cole’s first books were published in 1996, a series of four books of poetry for preschool children, and the following year, seeking experience in different media, Steve acquires the position of Commissioning Editor of BBC Worldwide’s science fiction titles. His first original series of fiction will be titled The Wereling, a trilogy of horrific books for young adults published between 2003 and 2004. He continued with a new trilogy detailing the adventures of a teenager in Thieves Like Us, and has also written many Doctor Who titles. His most successful series are the children’s books Astrosaurs. The first two titles were published in February 2005. So far, he has published twenty-five books of dinosaurs traveling through the galaxy. This series was followed by another, Cows In Action, which includes twelve books and tells the story of three cow who are CIA agents are who are fighting against the FBI. 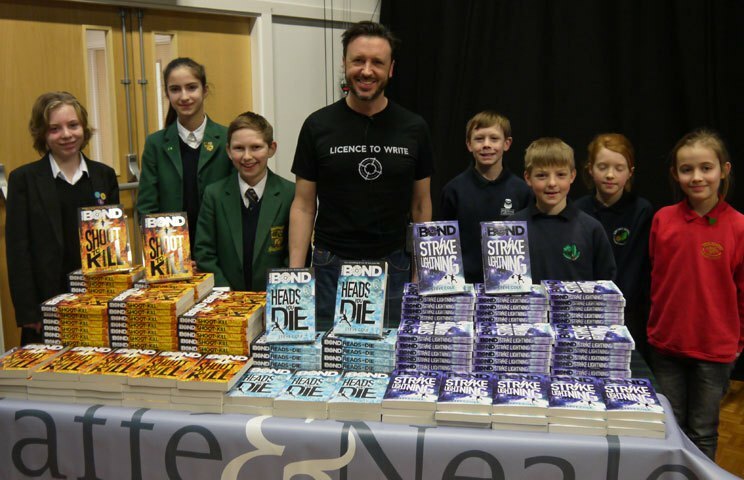 In all, Steve Cole has sold more than three million copies of his books ! 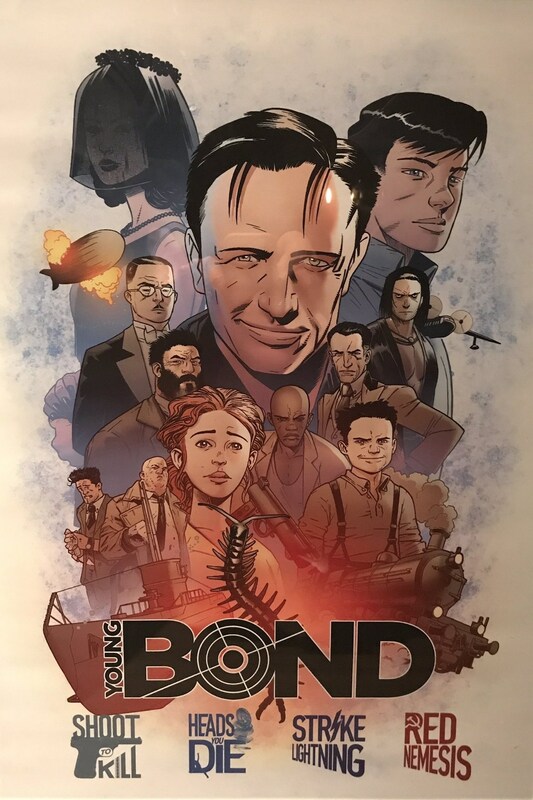 Started in 2005 by Charlie Higson, the Young Bond serie tells the adventures of James Bond, still a teenager in the 1930s. After a four-year hiatus without adventure of the young James after Higson’s departure (after five novels and a short story), Ian Fleming Publications announced in 2013 the return of the serie under the pen of a new author : Steve Cole. Since, it is four novels that have seen the light of day : Shoot to Kill (2014), Heads You Die (2016), Strike Lightning (2016) and Red Nemesis, released last May. 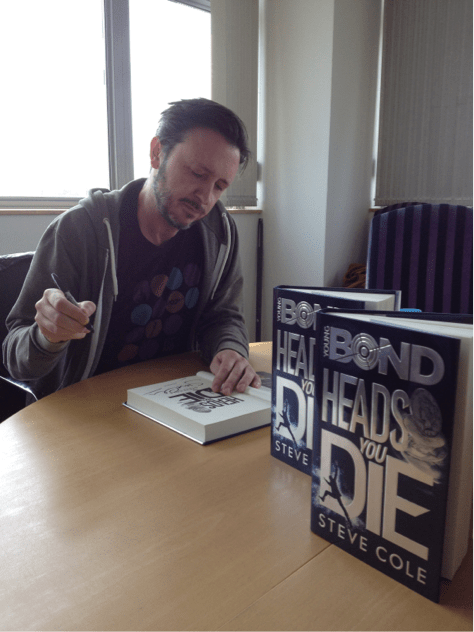 At Commander James Bond France we have always been interested in this literary series and rather liked what Steve did with it. 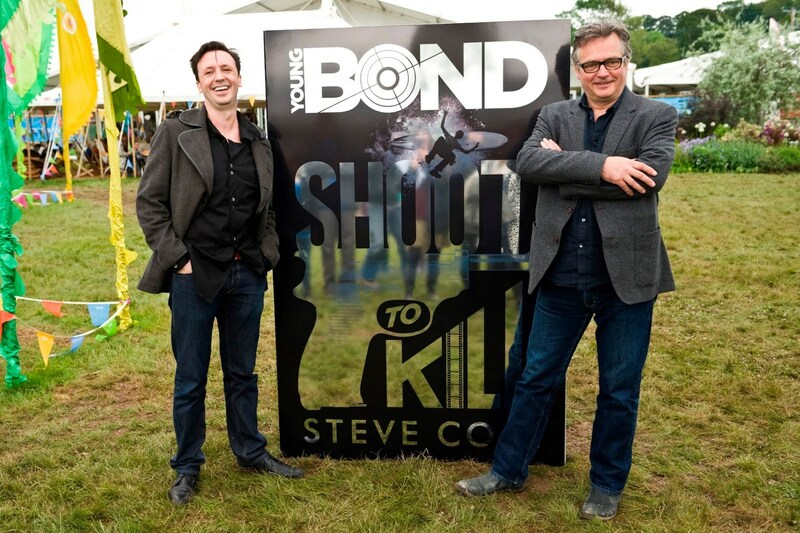 And now that it’s over, we’re proud to welcome Steve Cole to this blog for a long discussion with him about his four-year tenure as an author of James Bond and his four books. Be aware that this interview contains explicit spoilers on the four books ! It is strongly recommended to finish their reading before going further. CJB : Let’s start at the beginning. Before being approached by IFP (Ian Fleming Publications), you were a successful author with books like your Astrosaurs series or Doctor Who. Why do you think IFP choose you in December 2012 to write the new adventures of the young James Bond after the departure of Charlie Higson ? SC : Over my career I’ve written a lot of action thriller novels for Young Adults – Thieves Like Us, The Wereling, Z. Rex, Tripwire – and yes, Doctor Who for adults and children. IFP told me they approached me as a good writer and ‘master of action’! CJB : You met Bond during your teenage years with the writings of Ian Fleming and the films with Roger Moore. When IFP contacted you to continue the series, did you had already read (or heard about) the Higson’s novels ? SC : When I was just starting out as an author full time, early this century, my agent mentioned that they were looking for someone to write the Young Bond series. I actually began to write up a treatment of how I would do it! I soon heard that Charlie had been given the job, and of course he wrote them so well. By Royal Command was my favourite. CJB : Oh ? So what kind of ideas/things you had in this treatment ? SC : I can’t recall, I’m afraid – I didn’t go back to it to reuse any of the ideas, I just started fresh. 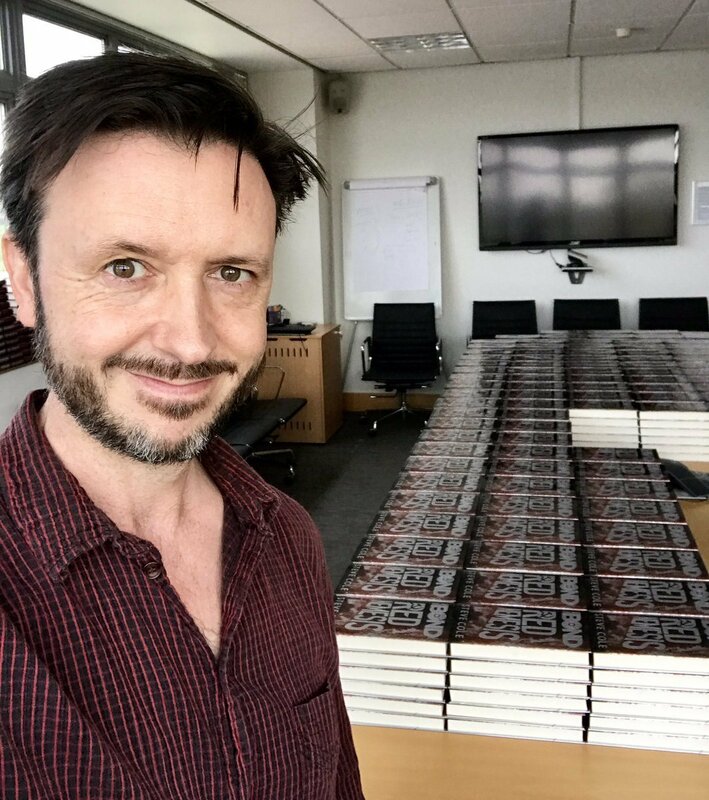 CJB : When you were officially announced as the new Young Bond author in October 2013, it was specified that you were going to write four books. So why four precisely ? SC : Right from the start, I pitched a sequence of four novels. Four seemed a good, manageable number. My Young Bond quartet, spread out over a year! I think we were all keen they weren’t just a flurry of fun adventures, but added something to the Bond universe too. CJB : One of the scenes I have most loved in your first Young Bond is the airship trip from England to United States. Have you climb in one of those big things for the novel research ? SC : Yes, and I grew up not far from the big airship hangars in Cardington, Bedfordshire. I did so much research for that section of the book. I got a bit obsessed. Seriously, I reckon I could probably captain an airship now! It was such an adventurous way to travel… To be precise, I have been in the control car of an airship in a museum – originating from the 30s but modernised until the 70s – but I have not inside the gondola of an actual 1930s functional ‘Hindenberg’ style airship. CJB : During the writing, you removed one character to improve the story. Basically, what role did this character played in the story ? Do you remember his name ? SC : His name was Wagner, an aging stagehand. In the first draft I had a whole trade union subplot going on. In Hollywood around that time, gangsters were manipulating the movie industry’s trade unions, extorting large sums of money from the studio heads to keep the labour force under control. But ultimately, trade unions disputes are not so exciting for younger readers! Wagner was trying to get Tori Wo to cover the story and James got involved, but in the end it was a complication the plot didn’t need. CJB : Did you are, like Ian Fleming, strongly implicated in the design of the covers of your books ? SC : As with all my books, I’ve always been consulted on the look of them, and made suggestions where appropriate. CJB : Speaking of illustrations, what was your relationship with Kev Walker, the illustrator of the Young Bond series ? SC : We’ve not met. I would scour the internet looking for people I’d cast as the main characters, and give them to Kev along with descriptions and character info. He would then produce brilliant work. CJB : So do you have actor’s names that you see well for yours characters ? SC : For instance, Elmhirst could be played by Bruce Willis, Jagua by an ‘Angel Heart’ era Lisa Bonet. Sometimes I would just select models or period photographs rather than actors. And Kev would only use any such picture as a starting point, he wouldn’t deliberately make the characters look like a recognisable actor. 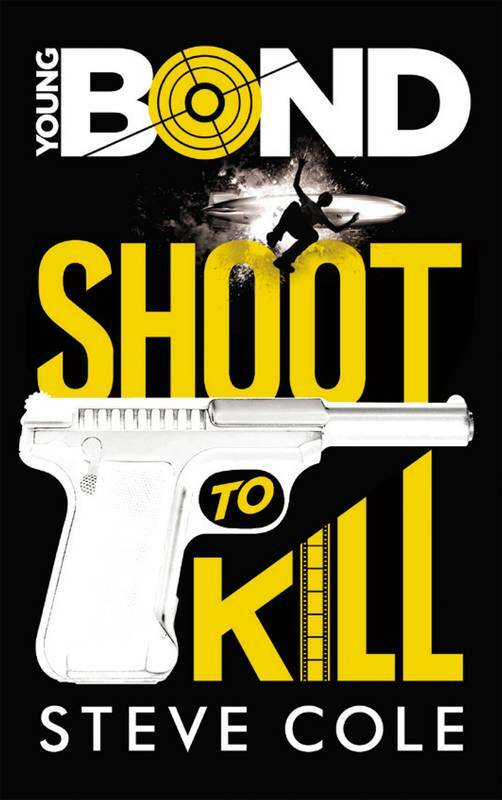 CJB : Shoot To Kill is the only one of your Young Bond novel which has been translated into French language, by Hachette. By chance, do you know why the following novels didn’t have French translations ? SC : I’m afraid I don’t. I don’t know why they chose the English title either! CJB : Let’s talk a little about Heads You Die, which is the Young Bond you wrote that I prefer. Many of the reviews I’ve read agree that there’s a tremendous amount – or too much – of action in this novel. Weren’t you scared that the the reader can be out of breath at a moment with all this action ? SC : I don’t think any James Bond work should aim to leave the reader without maximum action – provided it isn’t at the expense of character development. CJB : In the « acknowledgments » section of the novel we can read the name of Anthony Horowitz, who is writing at the time you wrote Heads You Die, another James Bond book : Trigger Mortis. So my question is : have you met him due to your work for IFP ? 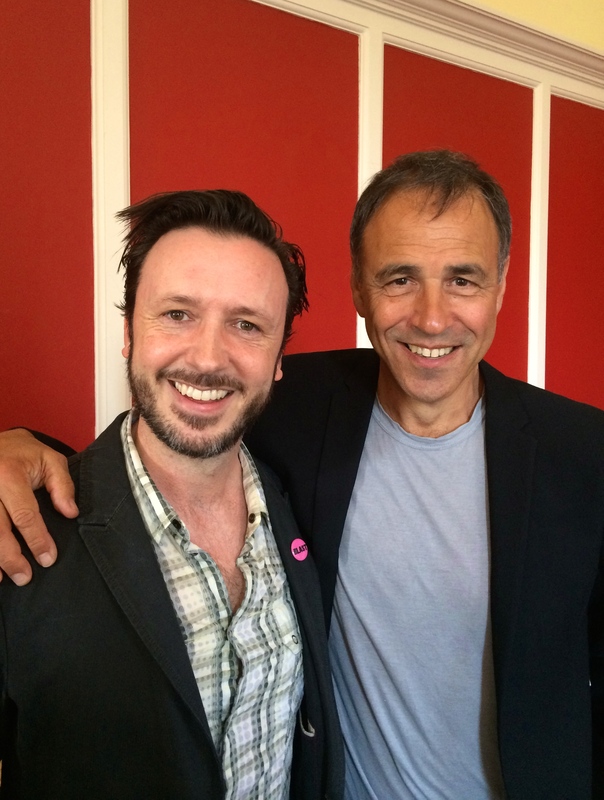 And did you ever discuss James Bond with him ? SC : Yes, I’ve met Anthony several times, and have interviewed him on stage for special events in front of big audiences. He’s such an inspiring person – creative, energetic and passionate. We have discussed Bond together in some detail, and many more things besides! CJB : Except the books of Charlie Higson (and maybe Trigger Mortis), have you ever read other James Bond novels written by continuation authors ? SC : Some, but not all. One of the Kev Walker beautiful illustrations of the Young Bond series. CJB : Kitty Drift is your favorite Bond Girl, mine is Jagua. In Heads You Die there are two Bond Girls and I enjoyed that neither of them being there to fill a simple quota of love. My question is : is it difficult or annoying to « have » to create a female character every time ? Have you ever been tempted to write an adventure of the young Bond without a girl in the story ? SC : I think any writer needs to set out with the right characters to help tell the story, they’re the tools in your toolbox. And since stories mirror life, so it would be odd and wrong not to feature female characters. I don’t think I’ve ever written a book that solely featured male protagonists. CJB : Heads You Die is the first Young Bond which contains a bonus section, present in the Doubleday edition. Where did this idea come from ? SC : I probably suggested it, as a means of adding value. CJB : I found this bonus section rather light, as if it was missing something. Why did you not talk about your grey screen of death inside ? SC : I could’ve written an entire short story about the process of writing Heads You Die, including the computer crash that wiped out a good chunk of the manuscript! But looking back, we must’ve thought it prudent at the time to focus on one element of the novel, the diving. CJB : When you finished writing the novel, did you already know if La Velada will return or not in a future novel ? SC : Yes, she was always intended to return for a rematch in book four. 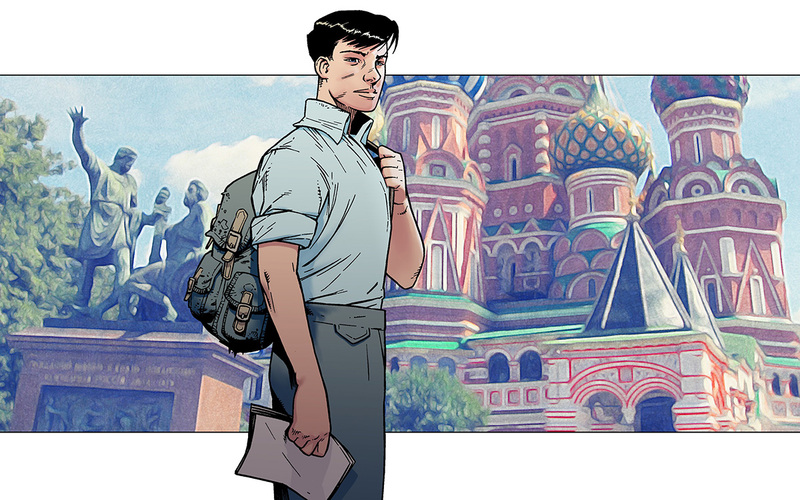 CJB : In Strike Lightning, James Bond integrate a new school : Fettes College. What was the reaction of the students of Fettes when you went there to talk about the novel ? And what was yours reaction when the staff offer you a pair of Glencorse cufflinks ? SC : Fettes were wonderful – Craig Marshall the archivist and Gemma Gray the Director of Marketing helped me so much – I was able to visit all the buildings and behind the scenes, look at photographs, old school nesletters, and the original plans of the school as it was in the 1930s. Gemma even arranged for me to meet some old boys who had been pupils at Fettes in the late 1930s so I could ask them questions directly! The student seemed very happy to count James Bond as a former pupil, and I was extremely moved when I was asked to accept Bond’s leaver’s cufflinks on his behalf. CJB : You regularly visit schools to talk with the children about of the author’s job, your books and literature in general. Have you ever had any problems with teachers or students parents regarding the violence in the Young Bond series ? SC : Not really, since people are so familiar with the elements of Bond stories, either Fleming’s novels or the films. 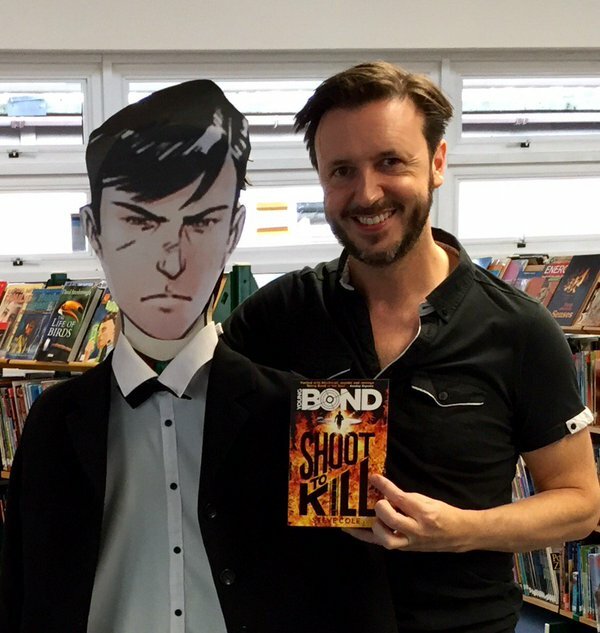 I wouldn’t present the Young Bond books to younger children but for 11 years and up, it’s not been problem. CJB : What motivates you to situate this adventure in the Netherlands ? SC : I’d done LA, I’d done Cuba, both hot places in the summer, I wanted a more wintry, film noir sort of feel, and the Hague offered grandeur and elegance while remaining a small city so I could concentrate the action and travel. CJB : Strike Lightning takes place in 1934-1935 and features the Steel Shadow, a sort of exoskeleton/mecha weapon. Since even today such a weapon is not yet deployed, have you had any problems to selling this anachronistic weapon to IFP ? SC : No. History is littered with examples of people who invented things but for whatever reason, they didn’t manage to bring it to the public and their work was forgotten by history. I found it interesting that the first patents on a crude exo-skeleton were taken out in the 1890s – clearly research was going on for a long time. Plus, the Steel Shadow is hardly a free-running Iron Man type suit: it’s primitive, dangerous and can only carry out set manoeuvres under remote control (and there were certainly remote controlled tanks in operation by the mid-30s). 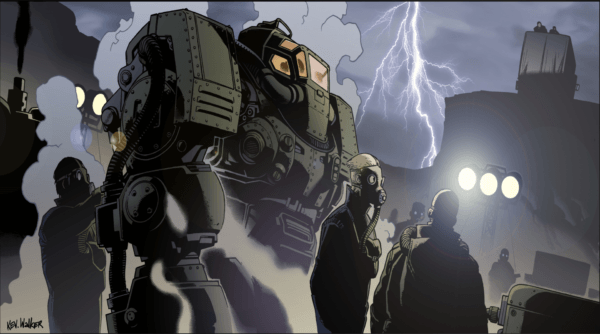 I knew when I pitched it that the steampunk notion of the Steel Shadow might alienate some older fans, but the theme running through Strike Lightning, and indeed the story arc behind all four – is that James is becoming a weapon. To drive the point home, I wanted him to literally become a weapon, put into that gladiatorial kill-or-be-killed situation, to see what he would do. I treated the concept with as much realism as I could, and made sure to destroy all evidence of the suit and the men behind it to explain why the work could not be continued. CJB : Are there any ideas you come with that they were opposed ? SC : Nothing major, I’m happy to say. CJB : When I re-read the last lines of Shoot To Kill, I thought you had planned since the first novel that Adam Elmhirst was not the character he claimed to be in reality. Am I right ? What else had you planned for the latest novel from the start ? SC : Yes, Elmhirst was always going to be coming back, and his past and present explored. As far back as my original pitch, the basic plot of book four would see James, isolated and alone, brought into a plot involving his father and having to clear his name, with Elmhirst and La Velada back too. CJB : Are there any things you planned to do in the series that did not finally happen ? SC : Hugo was going to die in Heads You Die, as a reminder how James’s world is dangerous, and no one is safe. I wrote at least two death scenes for him! But it just seemed too cruel, and I was too fond of Hugo. In the early stages of Red Nemesis, I was going to kill Perry and leave Aunt Charmian close to death too, but decided James didn’t need that emotional trauma too with everything else going on! CJB : Shoot To Kill starts in 1934 and Red Nemesis ends in 1935, so there is only one year between your four novels. Was it something imposed by IFP, not to going too far in the thirties, or is it just a coincidence ? SC : It wasn’t imposed, it just seemed neat to have my books chronicle a pivotal year in the life of the young James Bond. Plus, you don’t want to tear through his childhood; leave some space, perhaps it will be explored in other ways sometime. CJB : Maybe it is precised, but if this the case I must have missed it, but finally : why La Velada always wear a veil ? Did her husband is dead or it is something else ? SC : Readers can find the answer by reading Heads You Die : « There is power in anonymity » (p. 205). CJB : Anya Kalashnikova has a name that recalls the famous Russian assault rifle. What made you decide to name her thus ? 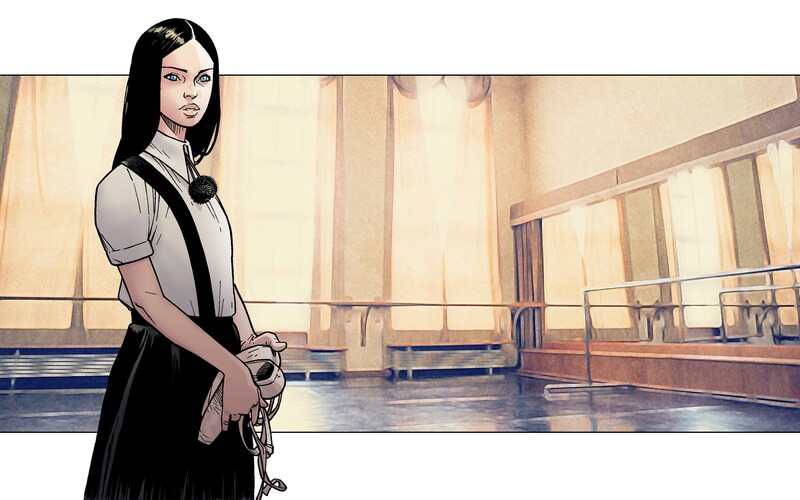 SC : Originally she was Lebedev, meaning the Swan, to reflect her grace. But we wanted a name with more immediate impact. A friend of mine suggested Kalashnikov; it was just a Russian surname in the 1930s, not yet the name of the assault rifle. To a modern audience, we know it is a dangerous name, but to James in 1935 it has no connotations; it just seemed neat to convey some of the power and fire in Anya. CJB : [Heavy spoilers] speaking of weapons, towards the end of the novel Bond and Anya get pistols. However, I had the impression with the death of Karachan that you absolutely did not want they use it to kill bad guys in cold blood. Reading further, we discover James finally use a gun to kill Elmhirst. Why it was so important to you to save the gun kill for the character of Elmhirst ? SC : Wow, these are some heavy spoilers…! I didn’t want James to be killing people all over the place, or it cheapens the act. I wanted to find the moment where he has to make the choice, to shoot someone in cold blood, to execute them. In Shoot to Kill, at the start of my arc, he was a target for a horde of armed gangsters. Now the tables are turned, can he take the shot? I wanted to be clear that the choice he makes will have repercussions for him. It’s why he can’t drop the gun afterwards, it’s almost like it’s become a part of him already. It was the moment all four of my adventures were always leading to. CJB : How did you come up with the idea of the tsunami ? What research you must have done on the subject ? SC : Quite a lot! After discussions with IFP we had a few ideas as to what the big plot could be. It needed to be something that would take years to put together. The real-life flooding of London in the 20s demonstrated that the Thames itself could be a devastating weapon, and the idea of excavations beneath and around the Thames, using four new-built buildings as access points grew from that. CJB : One of the thing I loved in your novels is your sense of humor, Hugo killed me each time. But at the contrary of your other novels, Red Nemesis contains less humor – or not at all. Was it to reflect the gravity or something ? SC : Bond’s world can get quite dark, but while you’ve a Hugo or a Perry about, they lighten things. Over my four books, you’ll notice that Bond has fewer and fewer allies – there’s Dan, Boody, Hugo and Tori in Shoot to Kill, Hugo, Jagua and Maritsa in Heads You Die, Perry and Kitty in Strike Lightning and just Anya in Red Nemesis. So he’s more isolated, and things are less funny! CJB : Like in the novel Carte Blanche by Jeffery Deaver, we learn that the death of the Bond’s parents was not accidental. How did you come to this idea ? SC : Teenage years are a quest for identity, our place in the world. I wanted to mess with Bond’s head, to shake him up to the point that he might be moved to murder, and to avenge his parents is a powerful reason. So the idea was there in my original pitch. CJB : Looking back at those four years, what are you most proud of ? SC : Getting the job, and then doing it. CJB : For finishing : if one day IFP offered you the opportunity to write another James Bond, could you accept or is it time for you to definitely move on ? SC : It would be great to come back to Bond in some form or other one day. Meantime, onwards we go! CJB : I would like to thanks you for this four books and for giving us so much of your valuable time for this deep interview, it was an honor to welcome you in our blog. We wish you the best for the future. And like we say around here, Bons baisers de France which mean « Good kisses from France » (because in France, « From Russia, with Love » have been literally tranlated in « Good kisses from Russia »). Merci ! Commander James Bond France want also express a big thanks to Jasmine Joynson, children’s book publicist at Penguin Random House, for her help in this interview.